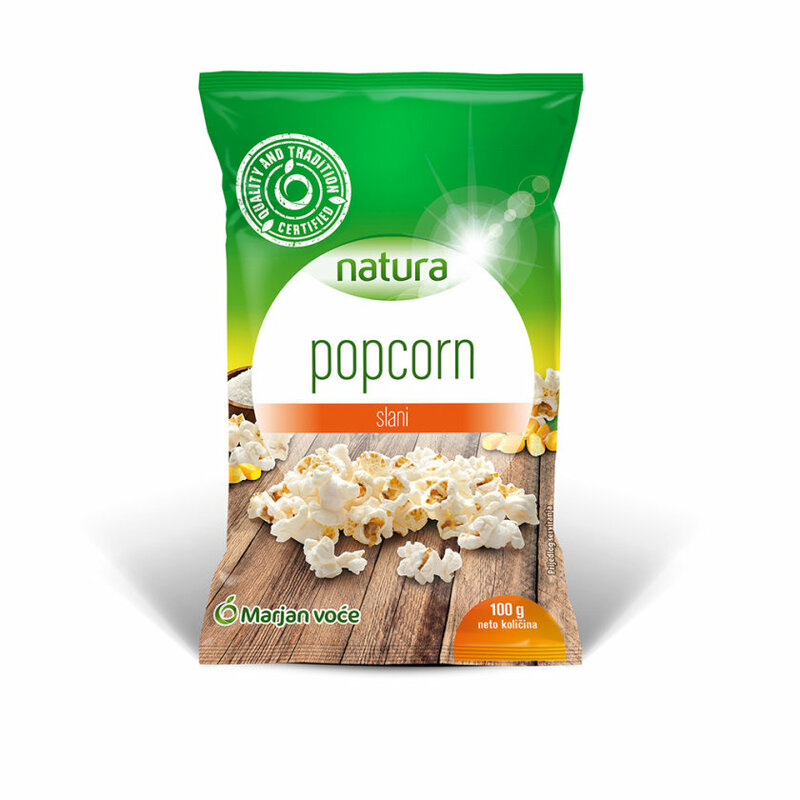 Ingredients: popcorn maize*, salt (4 %), palm fat. Place the unfolded and unopen bag on the turntable plate in the center of the microwave oven, making sure to observe the note “THIS SIDE UP”. Select the maximum power level on the microwave oven. Popcorn preparation time varies depending on the microwave power level. Approximate preparation time is as follows: 3-4 min at 450-600 W, 2-3 min at 600-700 W, 1-2 min at 1000 W.
Do not leave the oven unattended during popcorn preparation time. Listen carefully and turn off the oven immediately as soon as the popping slows to about 1-2 seconds between pops to avoid burning the popcorn. Thoroughly shake the bag before opening (so that the contents spread out evenly) and open it by pulling on diagonally opposite corners. WARNING! The product is hot! Please take care to avoid the hot steam coming out of the bag when you are opening it. Do not reheat the unpopped kernels. Do not reuse the bag.